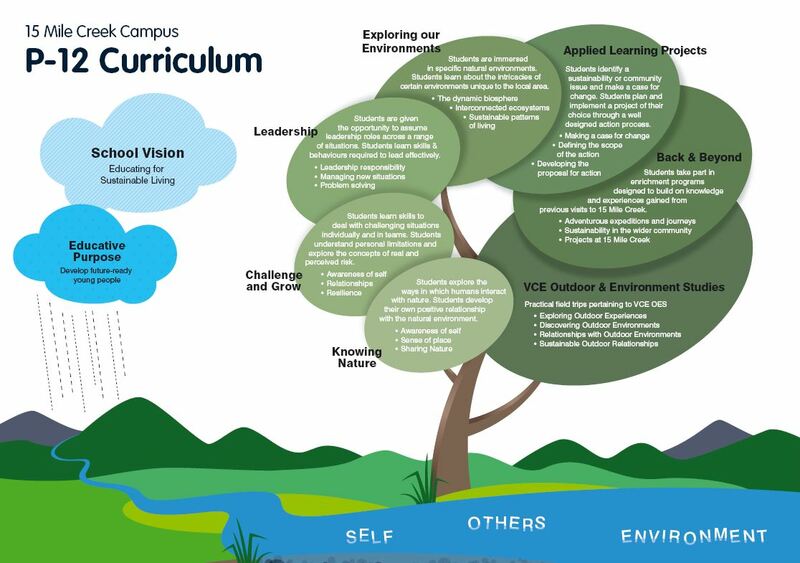 Develop in students an understanding of our relationship with the environment, others and ourselves. Inspire curious and adventurous learners who can transfer this knowledge, skill and disposition to actively contribute towards a sustainable world. To fully access our curriculum and its underpinning details use the hyperlinks below. At 15 Mile Creek, students’ learning begins with a fundamental focus around our core learning of Self, Others and Environment: Additionally, each 15 Mile Creek program is structured around one of the 7 learning branches, chosen by the visiting school teachers and students in conjunction with the 15 Mile Creek Program Coordinator. These learning branches are suitable for varying age groups and learning stages. Suitability of Learning Branches for each year level is shown in the table below.